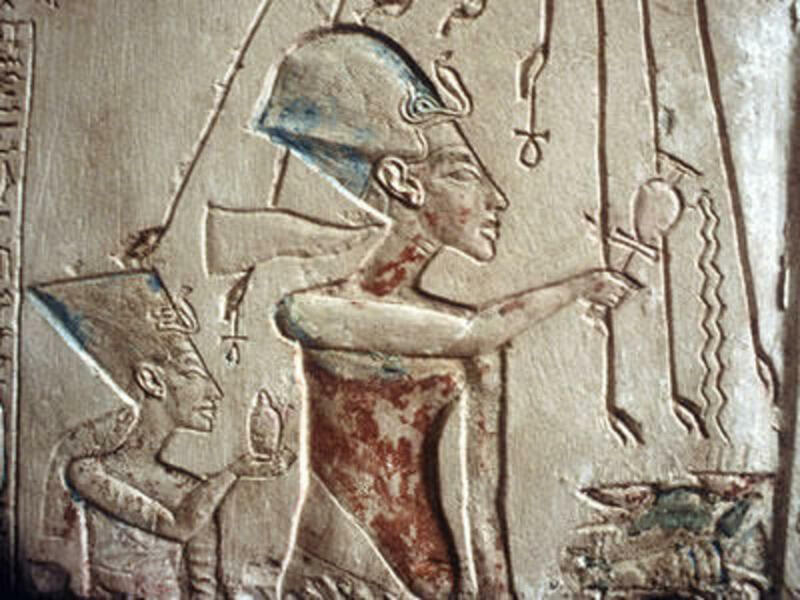 Has Queen Nefertiti’s Tomb Been Found? A British archaeologist believes ancient Egypt’s Queen Nefertiti may be buried behind a secret door inside of King Tut’s tomb. Howard Carter’s discovery of King Tutankhamen’s nearly intact tomb in the Valley of Kings outside Luxor not only stunned the world, it puzzled archaeologists who noted that the burial chamber wasn’t exactly fit for a king. 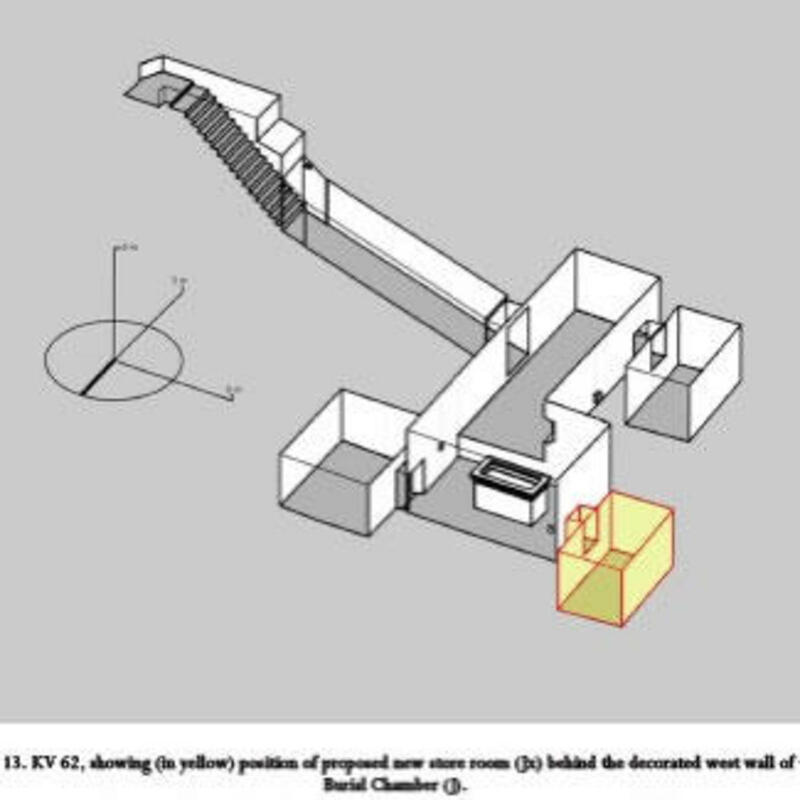 The tomb was smaller than that of other Egyptian pharaohs and oriented to the right of the entrance—a layout typical of Egyptian queens, not kings. 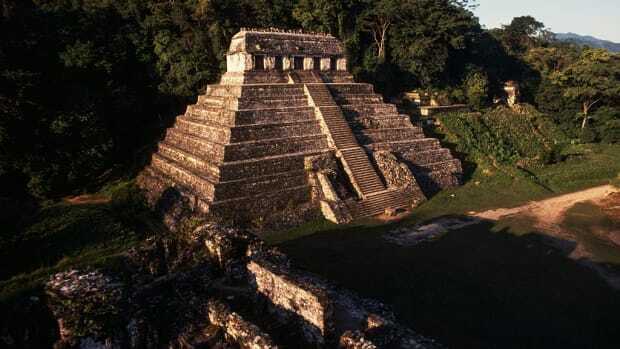 In addition, the burial chamber appeared to have been built and decorated in stages, and most of the nearly 2,000 artifacts found inside seemed to have been hastily placed and intended for earlier royals. 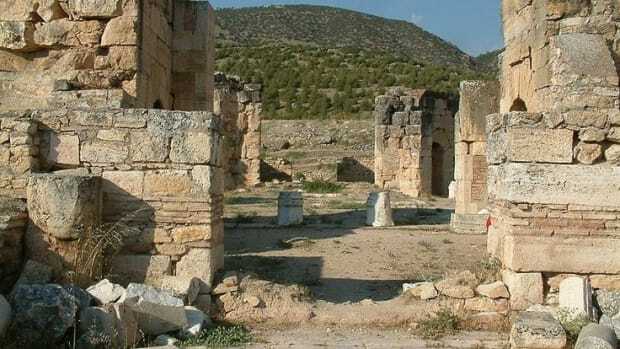 Nearly a century later, British archaeologist Nicholas Reeves thinks he has solved the mystery. In a recently released paper, the University of Arizona Egyptologist claims that King Tut may not have been the tomb’s original resident and that the undisturbed resting place of the legendary Queen Nefertiti could be on the other side of the walls of the boy-king’s burial chamber. Reeves spent months poring over the ultra-high-resolution images of King Tut’s tomb taken in 2009 by Factum Arte, a European specialist in art replication, as part of its construction of an exact replica of the pharaoh’s tomb now open to tourists to protect the original from damage by visitors. After studying the detailed scans that revealed the texture of the tomb’s walls beneath the layers of paint, Reeves spotted what he believed to be the outlines of two doorways that had been blocked and plastered over to hide them from view. “The more I looked, the more information I found that I seemed to be looking at something pretty real,” he told the BBC. If the body of Nefertiti, who died around 1340 B.C., rests behind the plaster walls of King Tut’s tomb, it would solve one of Egyptology’s greatest mysteries. 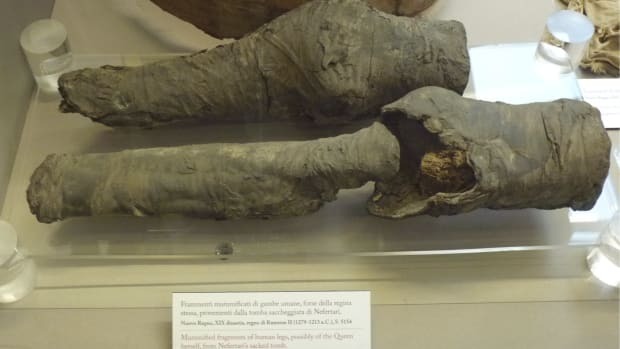 Her mummy has proven the most elusive to archaeologists and the most notable absence from the royals of Egypt’s 18th dynasty. Renowned for her beauty, the queen was more than just a pretty face. The wife of pharaoh Akhenaten, Tutankhamen’s father, was one of ancient Egypt’s most powerful women. (Nefertiti was likely King Tut’s stepmother, although some Egyptologists believe she was the boy-king’s biological mother.) During her husband’s reign from 1353 to 1336 B.C., Nefertiti played an important political and religious role as co-regent during the height of ancient Egypt. 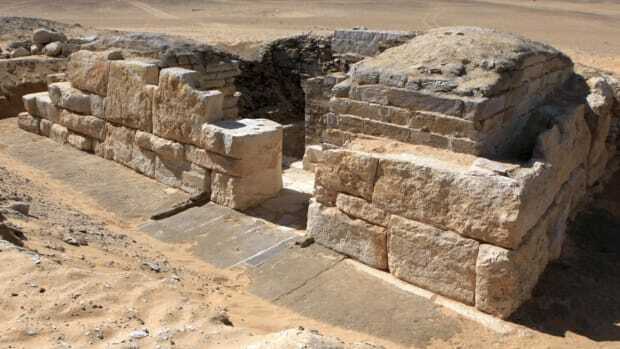 The royal couple displaced Egypt’s chief god Amon in place of the sun god Aten and built a new capital city to worship him at Amarna on the banks of the Nile River. Nefertiti disappeared from the historical record with five years remaining in Akhenaten’s reign. Some Egyptologists believe she died. 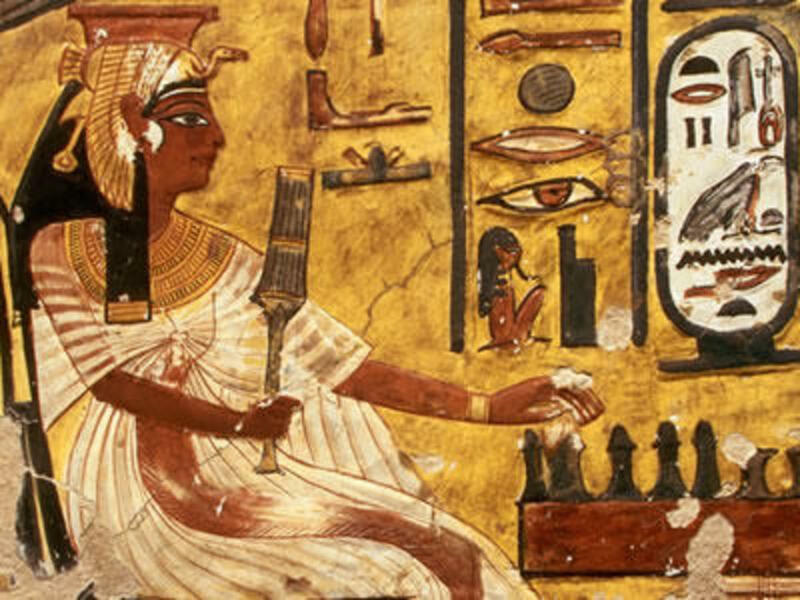 Others theorize that she outlived her husband and ruled alongside Tutankhamen or perhaps served as pharaoh herself before King Tut assumed the throne. 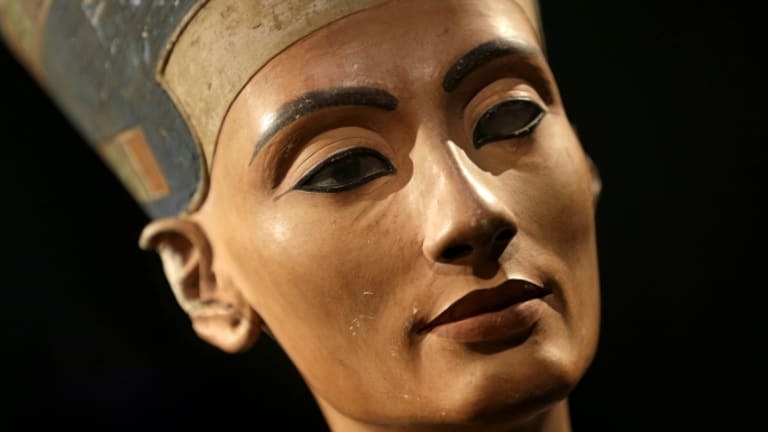 More than 3,000 years after her death, Nefertiti became a sensation again when German archaeologist Ludwig Borchardt discovered a painted limestone bust of her in Amarna in 1912. The sculpture of the Egyptian beauty wearing a distinctive flat-topped blue crown attracted worldwide attention and is now on display in a Berlin museum. “I will never relinquish the head of the queen,” German dictator Adolf Hitler said of the artifact, which was hidden in a salt mine during World War II before it was recovered by the Allies’ Monuments Men in 1945. Egyptologists caution that they can’t know for sure if anything exists beyond the walls of King Tut’s tomb. 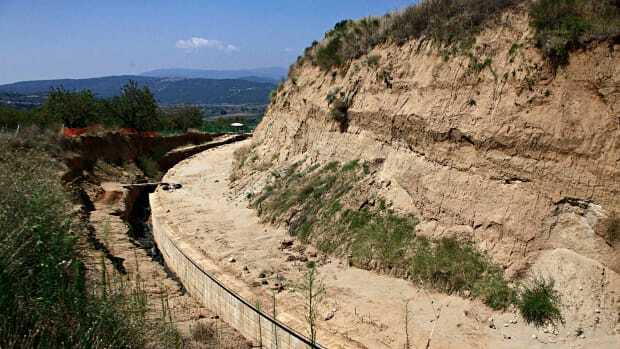 The next step for researchers is to use seismic X-ray technology and ground-penetrating radar to determine if there are any gaps in the bedrock that would indicate the presence of additional rooms. 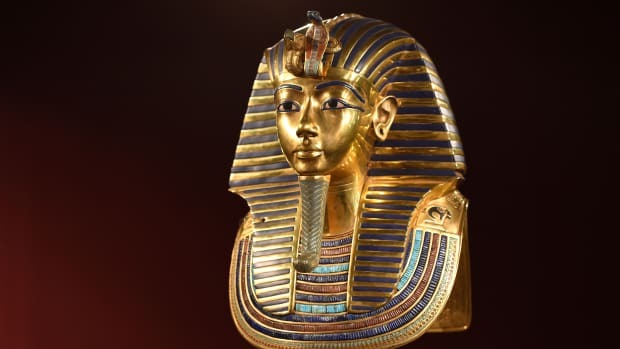 Any excavation would take years of planning so that it could be done without damaging King Tut’s tomb.